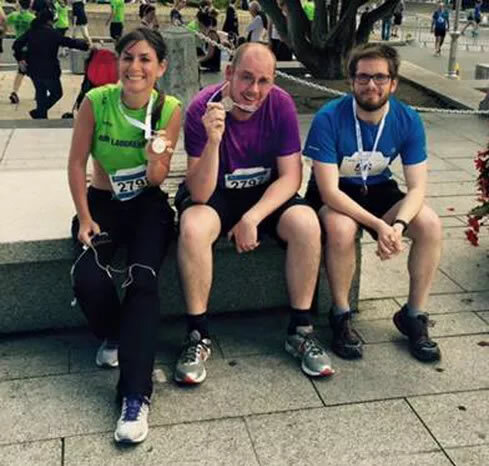 HomeNewsArchive by Category "Latest News"
We are delighted that our wonderful colleagues Mona, Ray, and John are running the Dublin City Marathon this year on behalf of CanCare4Living. We would very much appreciate if you could support them and us. Bike Challenge 2015 – Tuscany, Italy. Who’s looking out for the survivors of childhood cancer? CanCare4Living holds its Inaugural Meeting on October 21st in the Mansion House Dublin, to be opened by the Lord Mayor. Speakers include Professor Owen Smith (Our Lady’s Children’s Hospital), Deirdre Murphy (Irish Cancer Society), Evelyn Griffith (CanTeen Ireland) and Dr Julianne Byrne (BRI). Lunch and networking at 1pm and the official meeting starts at 2pm/3.30pm. All interested parties are welcome to attend. At the Spring 2014 Conference of PanCare Europe in Poland in May, CanCare4Living gave a presentation entitled, ‘Parents of Survivors’. (PanCare is a non-profit EU-funded body researching LTFU Care for survivors, www.pancare.eu).